The 82nd edition of the PGA Masters Tournament is right around the corner. Slated to take place April 5 – April 8 at the legendary Augusta National Golf Club in Augusta, Georgia, The Masters is the first golf Major of the season. If you’re lucky enough to be able to attend this year, there are a couple of do’s and don’ts when deciding what to wear and bring to the tournament. Most notably, cell phones are not allowed at the tournament so a wristwatch will be particularly handy. Here are some great Rolex watches to sport during The 2018 Masters. The PGA Masters 2018 is a great choice if you’ll be attending the PGA Masters 2018. 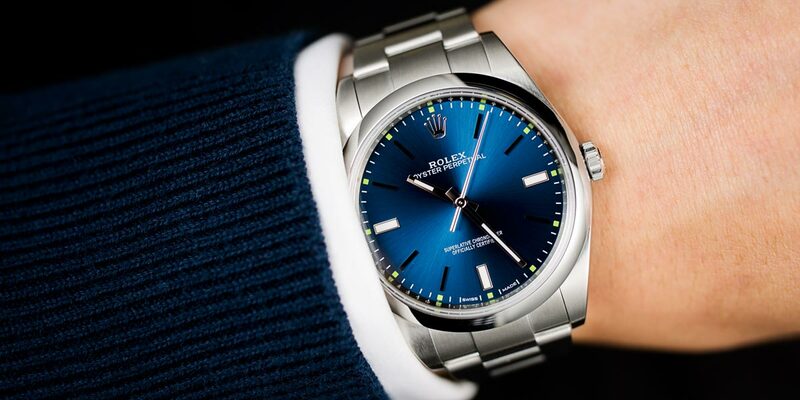 For a casual watch, the Rolex Oyster Perpetual 39 is a solid option. Crafted in stainless steel and available with a few dial color options, this no-fuss Rolex watch is one that’ll pair well with any attire. Not only is the 39mm Oyster case a comfortable size to wear, but its water resistance means that you won’t have to worry should you experience some April showers on the course. Plus, the time-only face offers superb symmetry thanks to the lack of a date window and Cyclops lens. Outfitted with the familiar sporty Oyster bracelet and an ultra-reliable Rolex automatic movement, this low-key Rolex watch has everything you need and nothing you don’t. The Batman is another great option to help keep track of your original timezone. If you’re flying to Augusta from another time zone, a Rolex GMT-Master is the perfect watch to have on hand. Able to indicate two time zones simultaneously via the extra GMT-hand and bezel marked with 24 hours, a GMT-Master makes it easy to track local time and home time. There are plenty of Rolex GMT-Master watches to choose from including steel, gold, and two-tone models, along with a selection of bezel colors too. 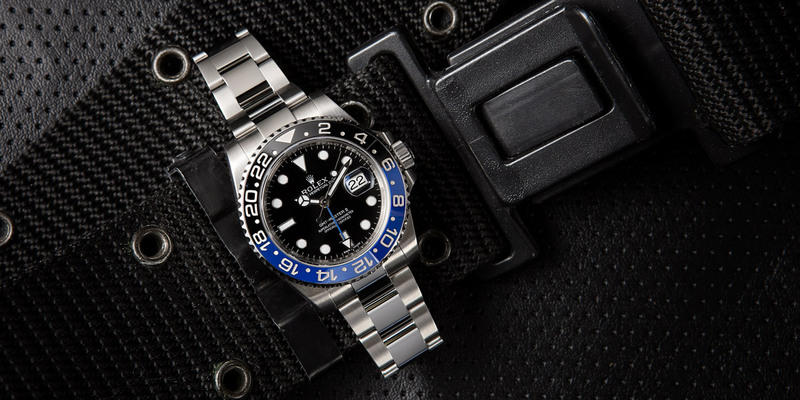 Among some of our favorites for the golf course are vintage steel GMT-Master watches with Pepsi bezels or the modern GMT-Master II “Batman” with the black and blue ceramic bezel. The classic 904L stainless steel Submariner is another great choice. Is there any situation that the Rolex Submariner isn’t appropriate to wear? We’d be hard-pressed to think of one and the golf course is certainly a prime spot to don one. The famous Rolex dive watch is perfectly suited to stay dry on land as it is to living underwater. 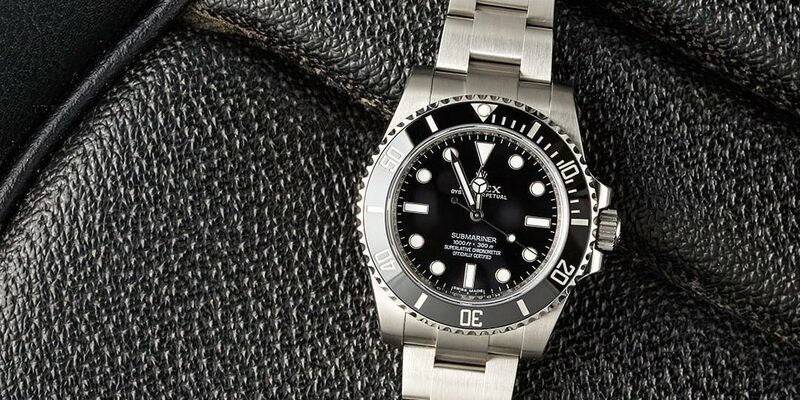 As one of Rolex’s most popular models, there are a host of Submariner choices from precious metals to robust stainless steel. But yet again, for The Masters we’d have to recommend a durable steel model. While the black dial and black bezel combo is a classic pick, a green Rolex Submariner would be a fun way to celebrate the coveted Green Jacket. Regardless of which Rolex you opt to wear for the 2018 Masters Tournament, they’re all fantastic options. Along with your Rolex watch, remember to wear light clothing, comfortable shoes, and a hat to stay as cool as possible.